With 40 years experience in the UK shower market, Gainsborough Showers offers a range of high quality products at affordable prices. 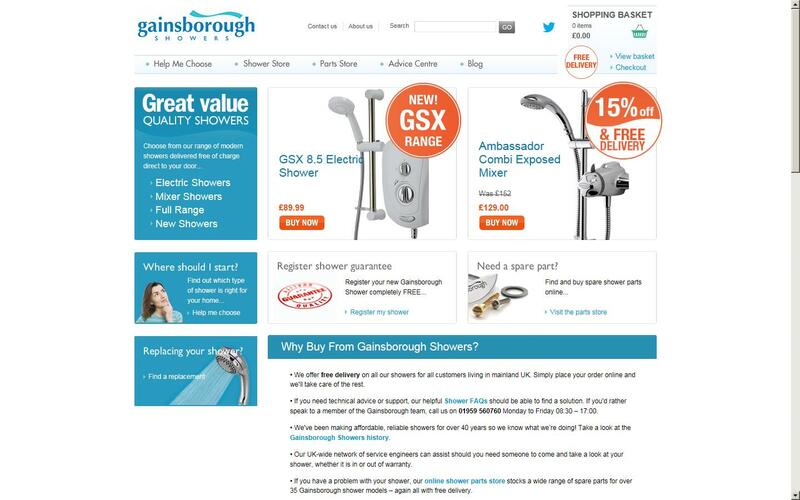 Gainsborough Showers aims to make purchasing a shower quick and painless, with next day - free - delivery and dedicated customer service. As part of the highly reputable Aqualisa Group, Gainsborough continually develops products to deliver top of the range showers and has established itself as one of the UK's most trusted brands.